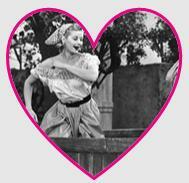 In one of the all-time classic I Love Lucy episodes, while the Ricardos and the Mertzes are traveling in Italy, Lucy is determined to land a role in the Italian movie, “Bitter Grapes.” As the mayhem ensues Lucy finds herself pretending to be an experienced grape stomper in order to research and bring realism to her role. Who can forget the hilarious images of Lucy and her fellow vineyard worker tussling in the purple staining grapes. While I have seen this episode more times than I can count, it never fails to make me laugh. Interestingly enough, in Bible times when grapes were being stomped, there was oftentimes great laughter and enjoyment. So it should be in our lives–there should be times of great laughter which will bring health to our bodies. King Solomon wisely told us there are times to laugh and that a cheerful heart is good medicine. How about taking his advice and inviting some girlfriends over for some fun activities? My best friend and I have wonderful memories of watching I Love Lucy together, cracking up to the point of tears streaming down our cheeks. I have become her Lucy and she is my Ethel. Our laughter has brought so much happiness to our lives. While we recognize the truth of laughter not being able to mask a heavy heart, taking a break from troubling times can be very refreshing. Perhaps you know someone who could benefit immensely if they could just enjoy some laughter. You could make a real difference in their circumstances by providing some fun times. Go and allow your heavenly Father to use you as His instrument of healing. Dearest girlfriends, I pray God would send us all some times of laughter to brighten our faces and hearts. This entry was posted on Monday, May 30th, 2011 at 9:00 pm	and is filed under A Godly Life, Encouragement, Spiritual Health. You can follow any responses to this entry through the RSS 2.0 feed. Both comments and pings are currently closed. « This Is YOUR Life!